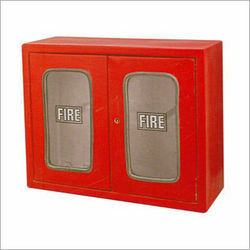 We smartly manufacture a range of multi utility Hose Box/Hose Reels - Fire Fighting Equipments. 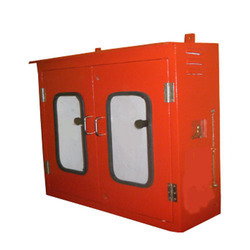 These equipments come with various specifications, different sizes and in varying material in order r to provide better fire fighting capabilities to the controllers. Drum Finishing : Red painted / Powder Coated. Metal : Gun Metal /Stainless Steel. Size : ¾ Inch(19 mm) , 1 Inch(25 mm). 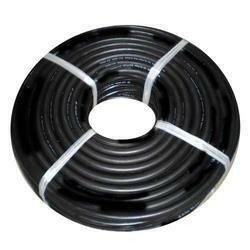 Type of Connection (Inlet) :Press-fil for Rubber Hose. 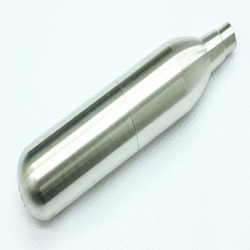 Hydrostatic Pressure for Body : 21 kgf / cm2. Approval : ISI / TAC. 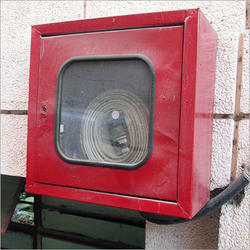 We are offering a wide range of Single MS Hose Box to our clients. 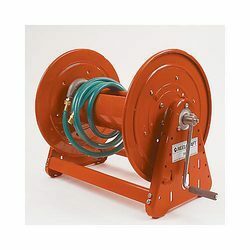 Single Hose Box to accommodate one length of 15/7.5 Mtrs. 63mm Fire Hoses and 1 No. 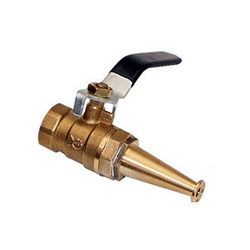 Nozzle with Single Door. 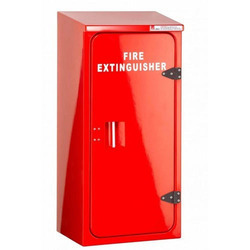 Usage : To keep Fire Extinguisher to save them from mishandling. Guarantee : For the period of 12 months from the date of supply for any manufacturing defect. 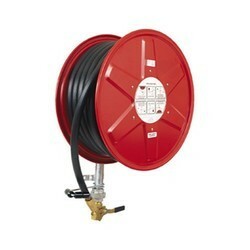 Double Hose Box to accommodate 2 lengths of 15/7.5 Mtrs. 63mm Fire Hoses and 2 No. of Nozzles, 2 Nos. of Spanners, Adaptors and spare washers with Double Door. 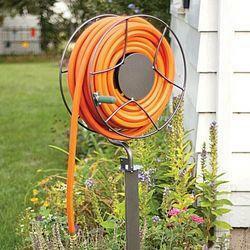 Double Hose Box to accommodate 2 lengths of 15/7.5 Mtrs. 63mm Fire Hoses and 1 No. 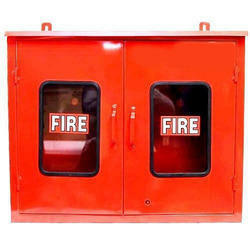 Nozzle with Double Door. 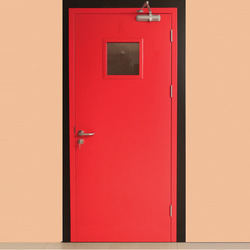 Juno-net is a analague addressable fire alarm system with networking capabilities that facilitate the configuration of complex wide area fire detection system. Modular construction and distributed intelligence allow systems of up to 96 loops to be constructed. with a high level of built in redundancy and emergency back features the Juno-Net is fully equpped to control the most complex installstions. using its wide array of interfacing capabilities the Juno-net is ideally equipped to control the most complex installations. 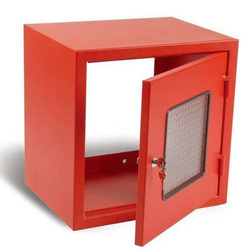 using its wide array of interfacing capabilities the Juno-net is ideally placed to provide an effective solution to the logistics of protecting large institutions, universities, airports , industrail complexes etc. 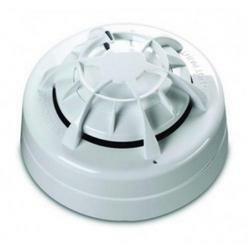 may have many individual fire alarm system but require central reporting and control can easily be accommodated by the advanced capabilities of the Juno-Net.